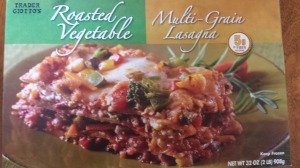 Trader Joe’s Roasted Vegetable Lasagna made with multigrain noodles makes for a great last minute dinner entrée. And it is super delish. Just add salad, cooked vegetable, whole grain bread, fruit and/or milk for a complete dinner. One serving provides 30% of your days’ worth of Vitamin A, 15% of your days’ worth of calcium, 5 grams of fiber, and 11 grams of protein. 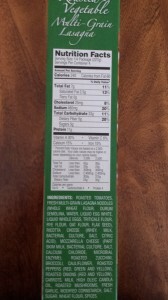 All this nutrition for only 240 calories, 2.5 grams of saturated fat and 480 mg of sodium. Typically frozen meals are high in sodium so 480 mg isn’t all that bad. Surprisingly, most home-cooked meals contain 1,380 mg of sodium. At least 10% of two or more of Vitamins C and A, calcium, iron, protein and fiber. 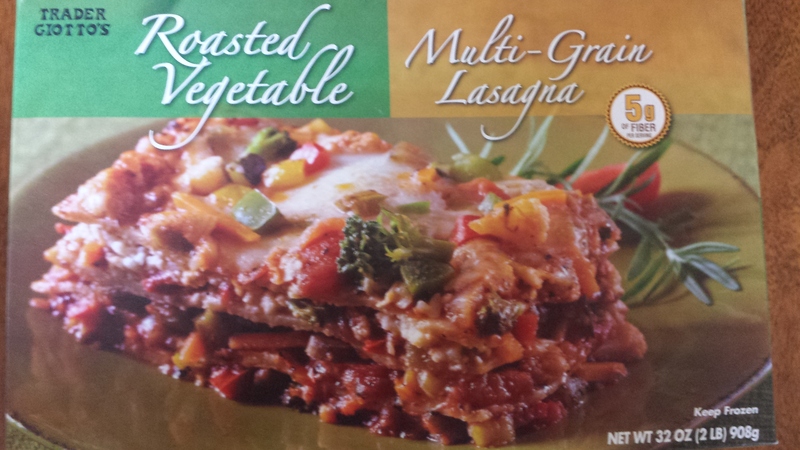 Happily, Trader Joe’s Roasted Vegetable Lasagna fits the criteria. This post contains affiliate links, which means that if you click on one of the product links, I’ll receive a small commission from sales of certain items, but the price is the same for you. Rumors about the dangers of non-stick cookware are widespread on the internet. These claims state that nonstick Teflon cookware coating is potentially “unhealthy” because at high heat it releases toxic chemicals. The most concerning issues are the chemicals PFOA and PTFE. PFOA (Perfluorooctanoic acid) is the substance that glues the non-stick coatings to pans, while PTFE (Polytetrafluoroethylene) or Teflon is the coating itself. PFOA is a carcinogen that is released during the manufacturing process. PTFE decomposes at over 660 degrees, producing gases that can kill birds and cause flu-like symptoms in humans. Lead, cadmium and aluminum can also be found in certain cookware products. I reviewed as many scientific studies and my conclusion is: There is only a trace amount, if any, PFOA in a finished Teflon pan. Studies showed that a pan has to reach over 685 degrees to release fumes and most pans on the burner do not reach this temp. The majority of PFOA contamination in the environment is thought to come from chemical plants. Okay so I am not overly concerned yet, I like to play it safe and limit my exposure to any potentially toxic substances. The Environmental Working Group recommends that you choose safer cookware to reduce the risk of inhaling toxic particles when you let that non-stick pan get a little too hot. Some safe alternatives are cast iron and stainless steel, ceramic titanium and porcelain enameled cast iron. Fortunately there are many new safer alternative cookware products designed to reduce these potential hazards. I have done some research to find a set of new pans for my household that are reviewed to be safer yet still give a nice nonstick cooking surface. Le Creuset enameled cast iron pans with a matte black interior. WearEver Pure Living. This is the “value” choice for a set. It has received high ratings from good Housekeeping, Examiner.com and Amazon users. Scanpan. 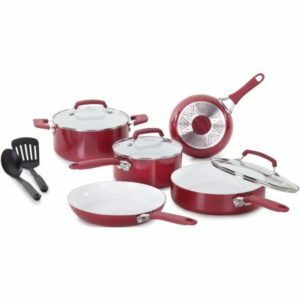 Consumer Search says that reviews indicate that the best performing and longest lasting of safer pans is Scanpan Classic. This is the more expensive option but a highly regarded set. An important step in creating a healthy lifestyle is collecting healthy recipes, experimenting with them and then creating your own “family favorite” cookbook with the recipes that your family likes. I have added a healthy cooking tip for each recipe to teach you some of the principles of healthy cooking. These quick and easy recipes from Cooking Light use ingredients you most likely have or can easily get at the supermarket. Pasta This one is award winning. Healthy cooking lesson: Frozen chopped onion makes this dish even quicker to prepare. If you use them, add with the frozen mixed vegetables. Instead of barley, you can use bulgur. Bring barley and broth to a boil in a large saucepan. Reduce heat, and simmer 5 minutes. While barley cooks, heat oil in a large nonstick skillet over medium-high heat. Add onion; sauté 3 minutes. Add mixed vegetables; sauté 2 minutes. Add vegetable mixture, chicken, salt, thyme, and pepper to barley mixture; simmer 4 minutes. Healthy cooking lesson: Top this hearty and healthy black bean soup with a dollop of low-fat sour cream and/or chopped green onions. Add leftover meat to this if you’d like. Or pack some for tomorrow’s lunch. Heat oil in a large saucepan over medium heat. Add celery, minced onion, bell pepper, and carrot. Cook 10 minutes or until tender, stirring occasionally. Add garlic and the next 4 ingredients (through black pepper); sauté 3 minutes. Add broth, water, and beans; bring to a boil. Reduce heat, and simmer 15 minutes. Cool slightly. Place half of soup in a blender, and process until smooth. Pour into a bowl. Repeat procedure with remaining soup. Garnish with sliced green onions, if desired. This dish’s name–arrabbiata–comes from the Italian word for “angry” because of the spicy tomato and red pepper sauce. Healthy cooking lesson: This sauce is versatile. If you want, double the tomato sauce and freeze half for a jump start on a future meal. You can even use this sauce to top grilled pork or other meats. Or feel free to substitute scallops or chicken chunks for the shrimp. Use Barilla Plus pasta for more nutrition and fiber. 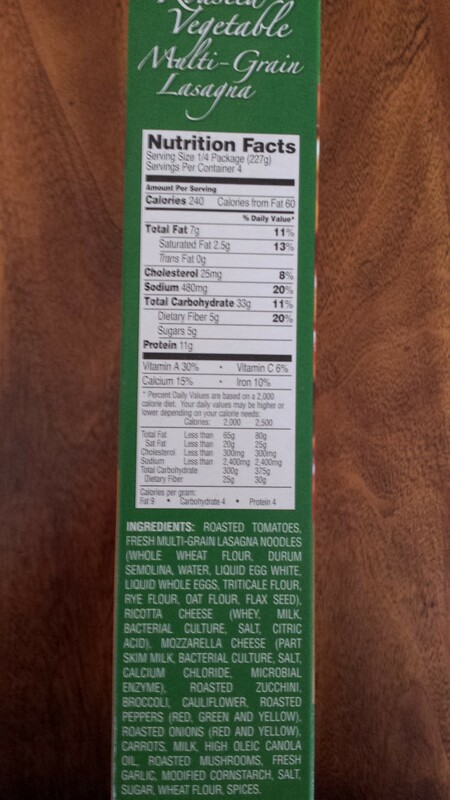 Cook pasta according to the package directions, omitting salt and fat. Drain and keep warm. Heat 1 tablespoon oil in a large nonstick skillet over medium-high heat. Sprinkle shrimp with salt; add shrimp to pan. Cook 2 minutes on each side or until shrimp are done. Transfer shrimp to a bowl. Heat remaining 1 tablespoon oil in pan. Add onion, minced garlic, basil, and crushed red pepper to pan; sauté 1 minute. Add tomato paste and tomatoes; bring to a boil. Cook 3 minutes or just until sauce begins to thicken. Return shrimp to pan; cook 1 minute or until thoroughly heated. Add parsley to the pan, stirring well to combine. Serve over pasta. Healthy cooking lesson: Omelets are a quick dinner idea. Black beans and cheddar make for a southwestern-inspired hearty omelet filling, but feel free to vary this recipe by using kidney beans or Monterey Jack cheese instead. Serve with a big green or fruit salad. Combine first 4 ingredients in a medium bowl, stirring with a whisk. Combine beans, onions, cheese, and salsa in a medium bowl. Fried rice has the best texture when prepared with cold cooked rice, making it an ideal use for leftovers. Healthy cooking lesson: Tiny rounds of thinly sliced green beans add flecks of color and crunch. Feel free to be creative. Experiment with other vegetables like asparagus, broccoli, or sugar snap peas. Serve over whole wheat couscous, with dressed greens on the side. Prepare grill to medium-high heat. Sprinkle chicken evenly with 1/4 teaspoon salt and 1/4 teaspoon freshly ground black pepper. Place chicken on grill rack coated with cooking spray, and grill for 6 minutes on each side or until chicken is done. Keep warm. Combine tomatoes, 1 1/2 tablespoons dressing, and olives in a medium skillet over medium heat, and cook for 2 minutes or until tomatoes soften slightly and mixture is thoroughly heated, stirring occasionally. Brush chicken with remaining 1 1/2 tablespoons dressing. Cut each chicken breast half into 3/4-inch slices. Top each chicken breast half with 1/4 cup tomato mixture. Sprinkle each serving with 2 tablespoons cheese and torn basil leaves, if desired.